The toughest part of this project is finding the perfect book. The spine of the book has to be a bit bigger than the height of the 2-ring metal binder piece, in this case it was one inch tall. 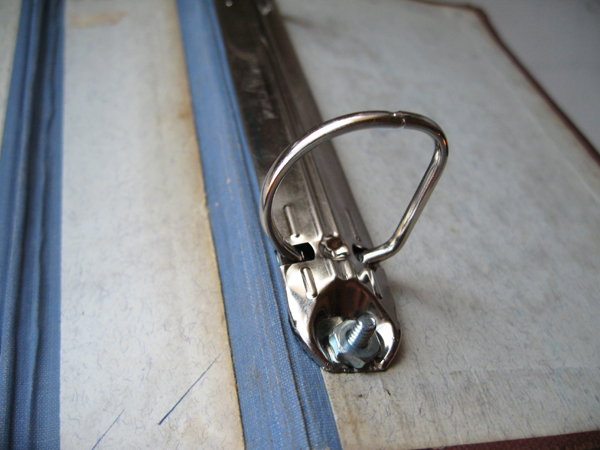 Make sure it’s wide enough for a paper size you’re comfortable with too, remember to add about half the width of the binder clip. 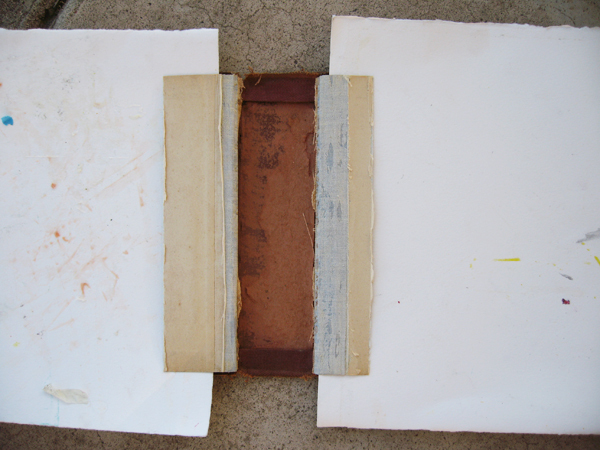 First you want to remove the pages from the inside of the book. 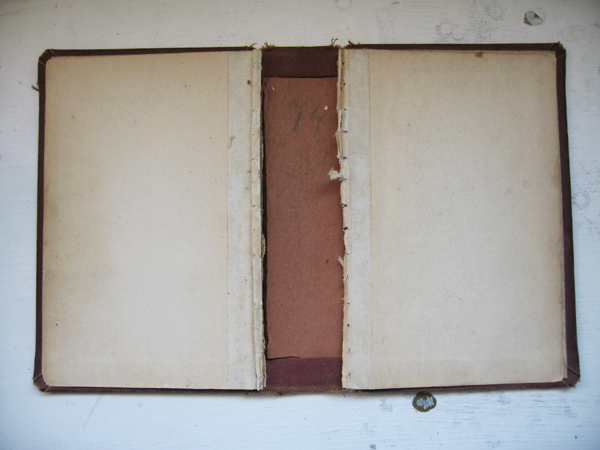 It’s important to keep the very first and very last pages that are attached to the covers intact – these are called the endpapers. Go a few pages into the first signature and spread the pages apart until you can see the stitching. Using an exacto knife carefully cut the thread. 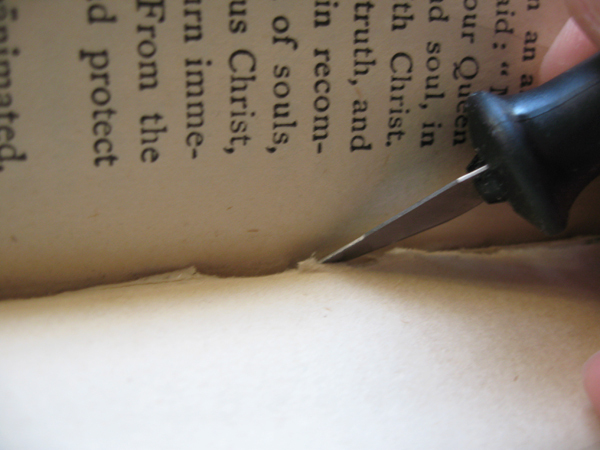 Once you’ve cut all the threads look behind the first page, you should be able to pull the pages away from the endpaper. 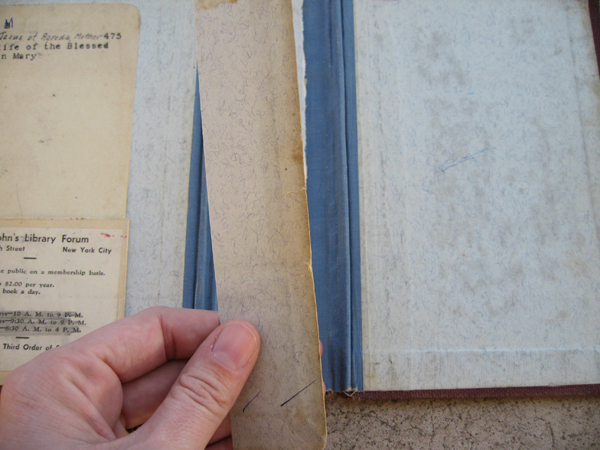 It will probably be attached with adhesive but should pull apart easily, especially if it’s an older book. 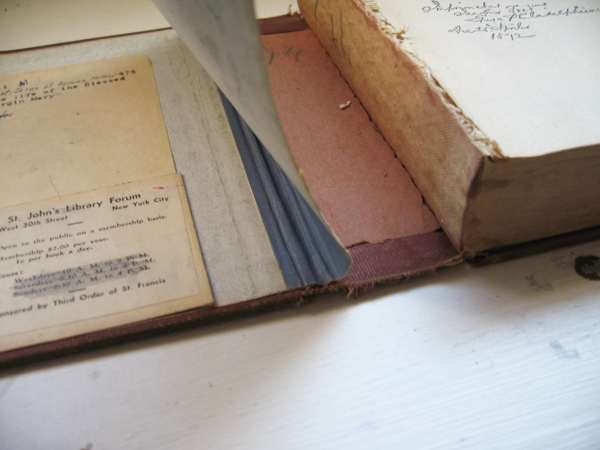 Once the endpaper is released cut through the book tape with scissors to completely release the inside pages. 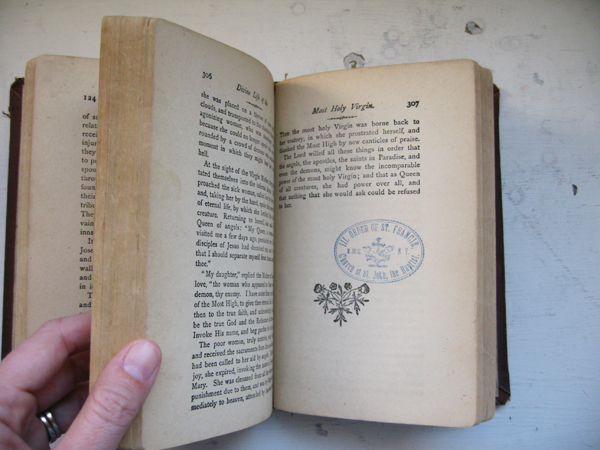 Do the same to the back of the book so that you’re left with only the cover and the endpapers. 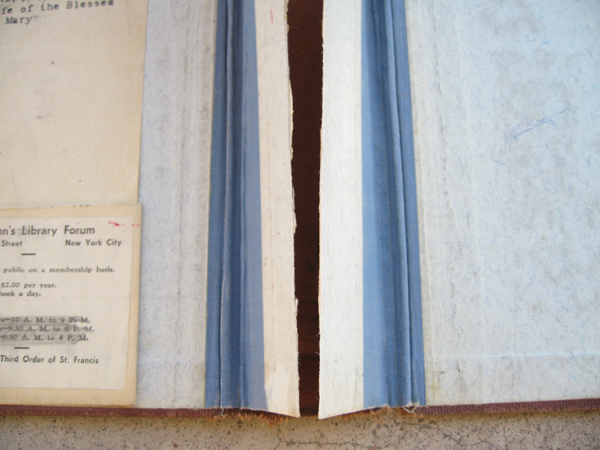 Next, fold both endpapers open and mark/cut them so that they’re the width of the spine. 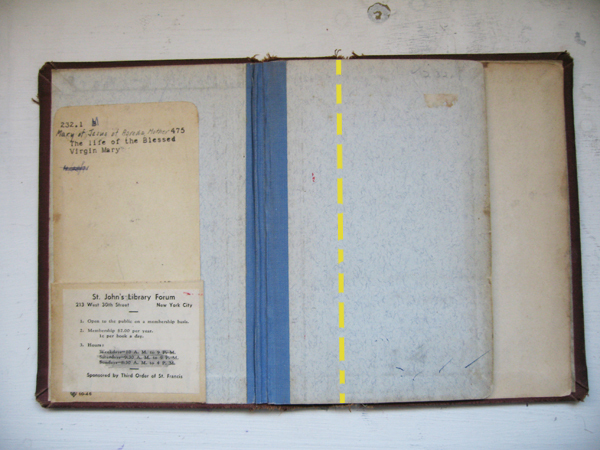 Use the spray adhesive and attach the endpapers to the spine. I put down the back section first then the front, but do whatever works best for you book. 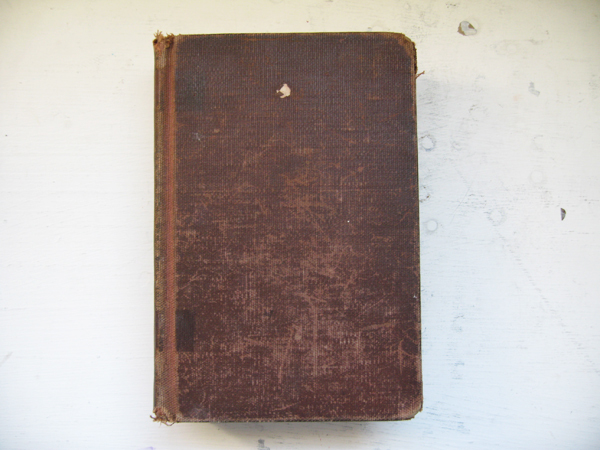 The white sheets of paper are to protect the rest of the book from the adhesive. 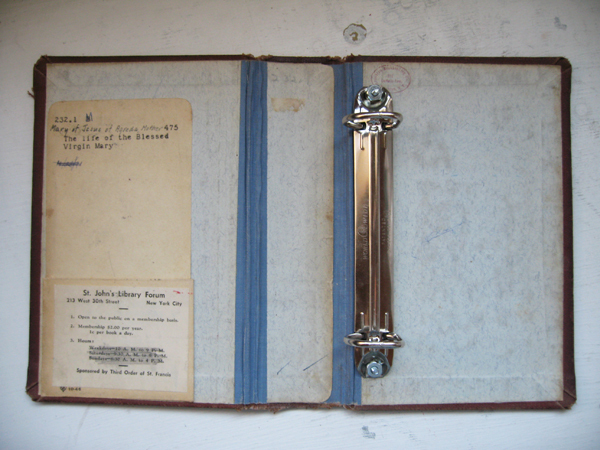 Attach a piece of extra endpaper to the spine to hide the seams. Depending on the construction of your book this may not be necessary. 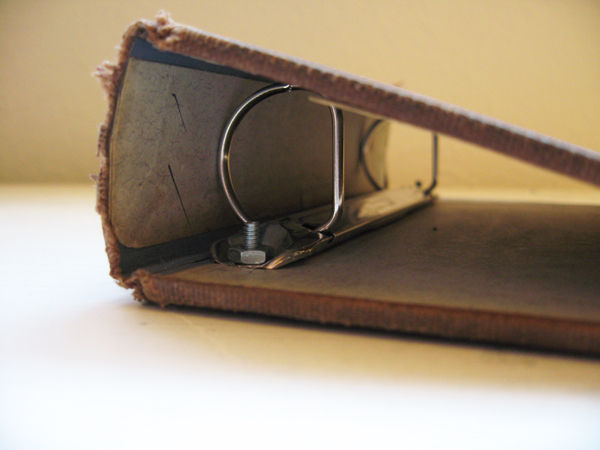 Last I attached the 2-ring metal binder piece. Instructions for doing this are in The Bee Planner post. Now the fun part, filling the binder up! 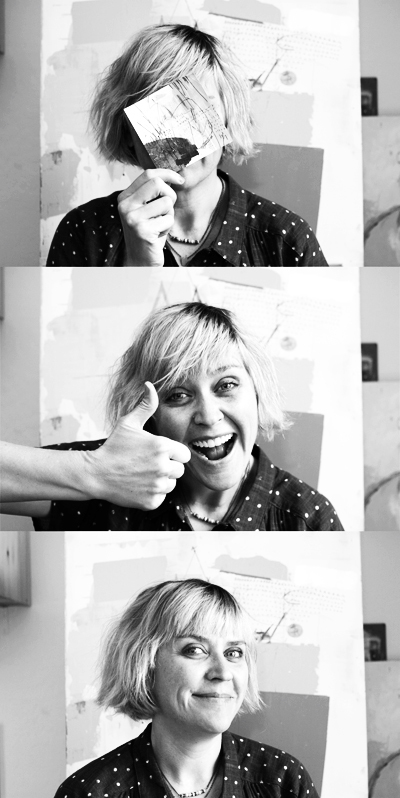 Thanks for reading, now go make something.